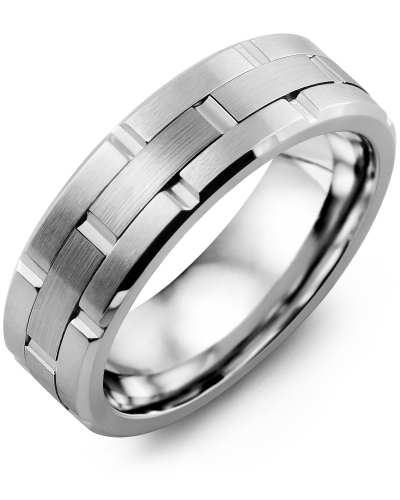 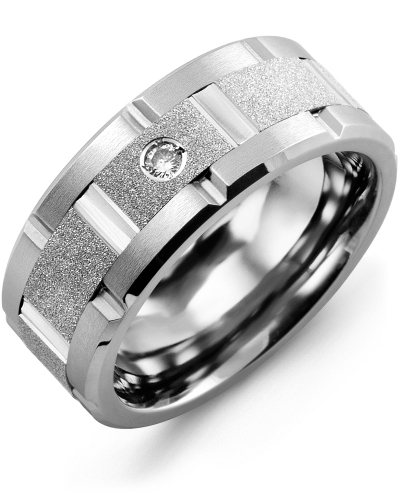 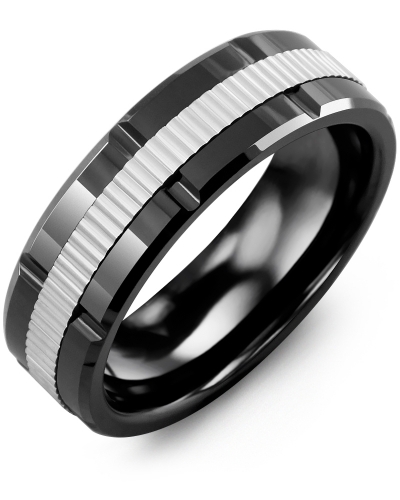 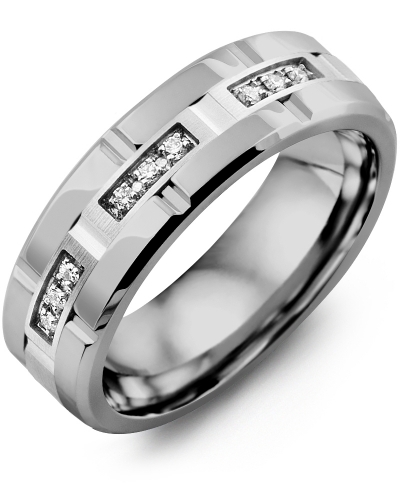 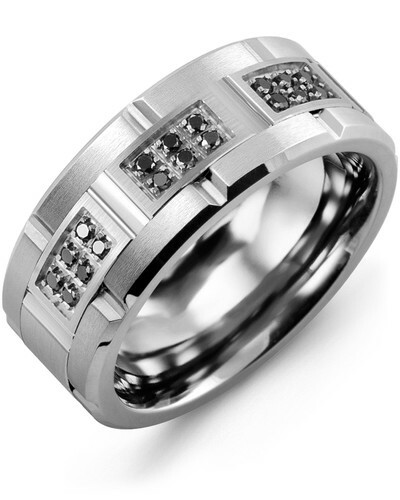 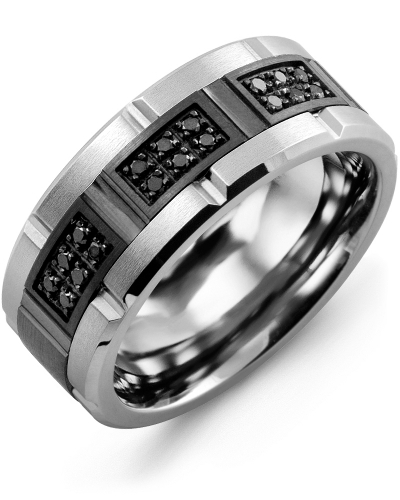 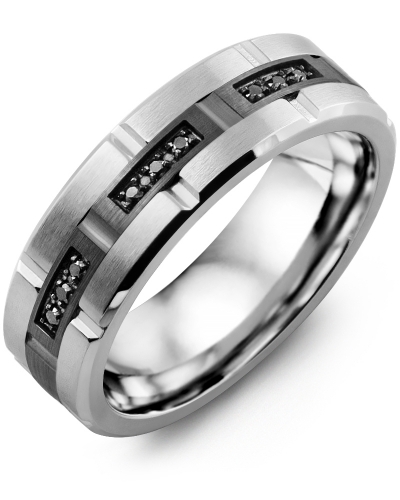 MQK - Men's Multi Black Diamond Grooved Wedding Ring Available as a tungsten ring, a cobalt ring, or as a black ceramic ring, this Multi Black Diamond Grooved Wedding Band for Men will lend sophisticated sparkle to your everyday ensemble. Handcrafted to a standard of perfection, it features a brushed band with groove detailing and a gold inlay with dazzling black diamond embellishments. The inlay is offered in white, rose and yellow gold, three karat options, and we can add 18 or 48 diamonds to create your perfect wedding ring. 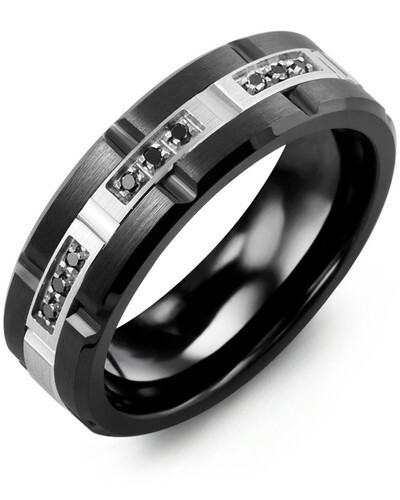 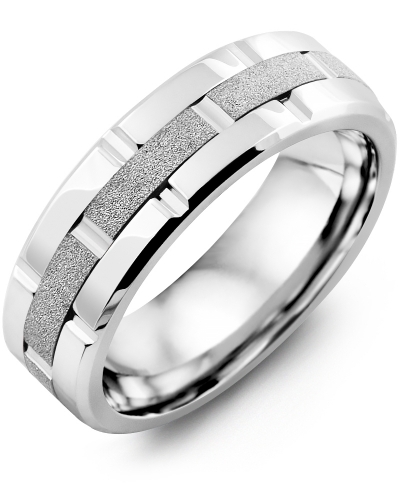 Available as a tungsten ring, a cobalt ring, or as a black ceramic ring, this Multi Black Diamond Grooved Wedding Band for Men will lend sophisticated sparkle to your everyday ensemble. Handcrafted to a standard of perfection, it features a brushed band with groove detailing and a gold inlay with dazzling black diamond embellishments. The inlay is offered in white, rose and yellow gold, three karat options, and we can add 18 or 48 diamonds to create your perfect wedding ring.